Select your Dates & RV type. 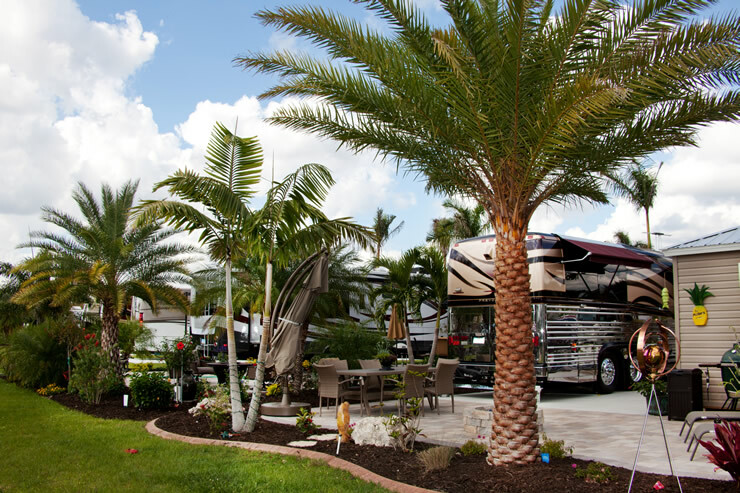 Now you can enjoy the sensational RV Lifestyle with all the resort amenities you would expect at an outstanding five-star resort, but without the high price. 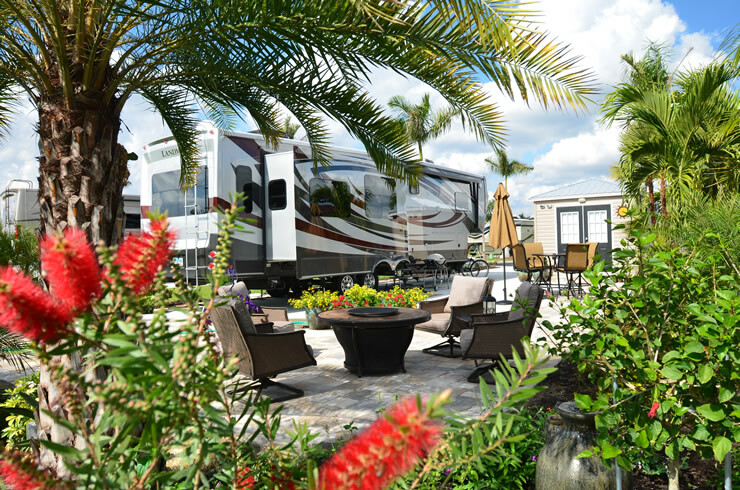 Cypress Trail has been designed as a first-class RV getaway that welcomes most types of RVs--from Class As and Class Cs, Class Bs and Super Bs, Fifth Wheels and Travel Trailers, even resort homes! Large selection of Lots for Sale! 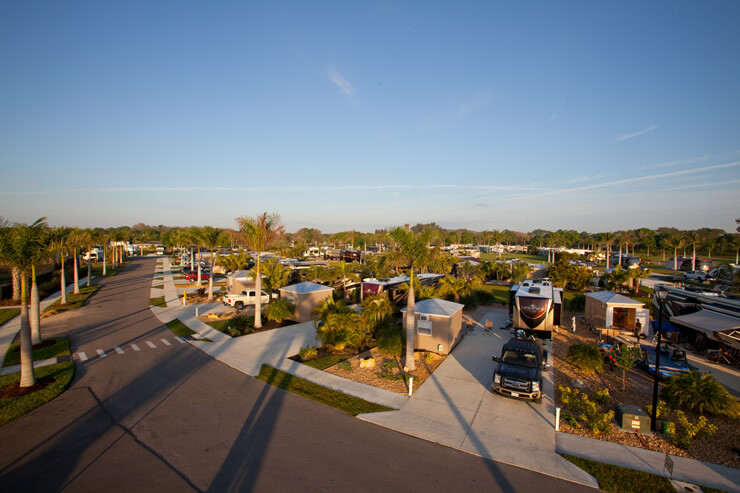 We offer spacious 35' x 90' lots in a gated community with lakefront pull-in sites for motorized RVs, or back-in lots for towable RVs. Concrete pads are sized at 20' x 70'. 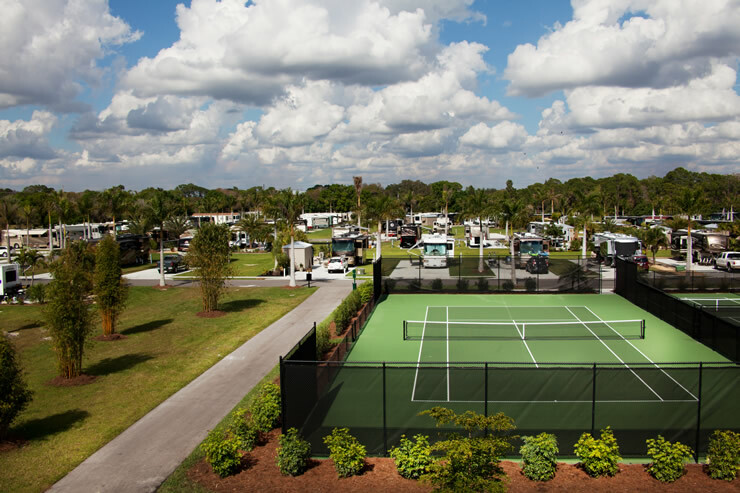 Enhanced hookups with 50-30-20 amp services, hard wired internet at all the sites and Wi-Fi at the club house and pool. State Of the Art Clubhouse! 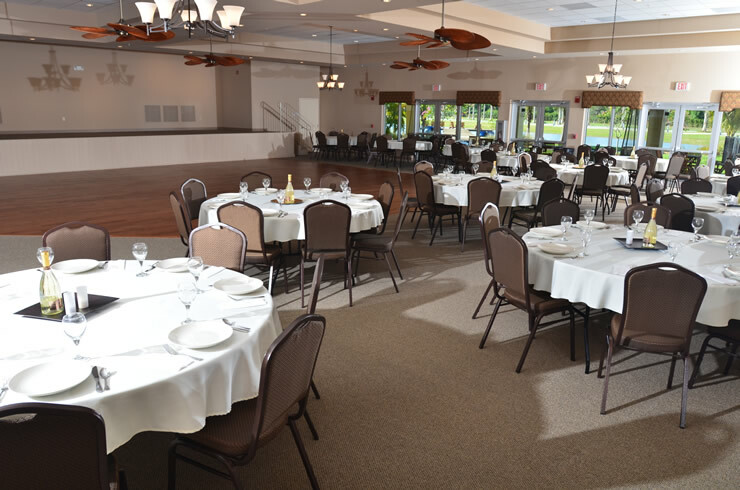 There's a beautiful 12,000 square foot clubhouse with full fitness room, billiards room, card and game room, laundry and private shower rooms. 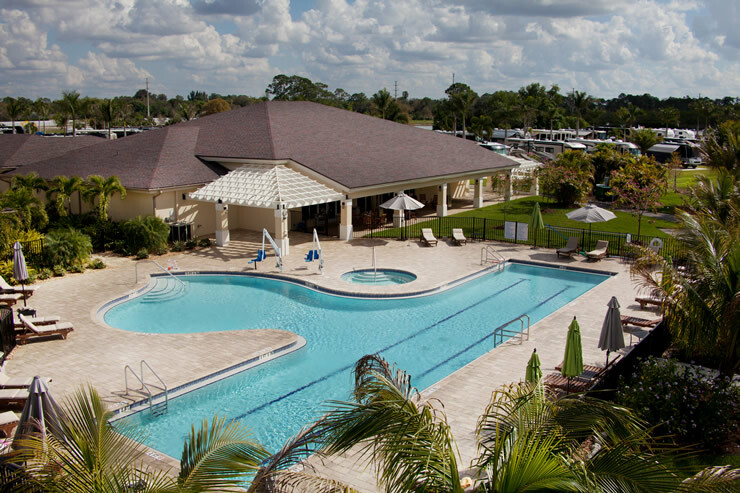 Additionally, a large heated pool with 2 lap lanes and big social area, a hot tub spa, tennis courts, 4 tournament quality pickle ball courts, 2 awesome bocce ball courts, and shuffleboard courts will be available. 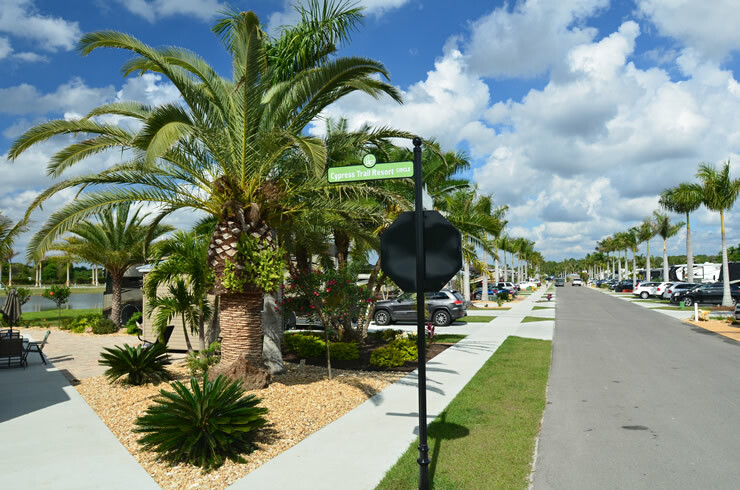 Southwest Florida occupies the southwestern Gulf Coast of the Sunshine State from Sarasota south to Naples. It contains the five county area of Lee (Fort Myers-Cape Coral), Collier (Naples-Marco Island), Charlotte (Punta Gorda-Port Charlotte), Hendry (LaBelle-Clewiston) and Glades (Moore Haven) counties. 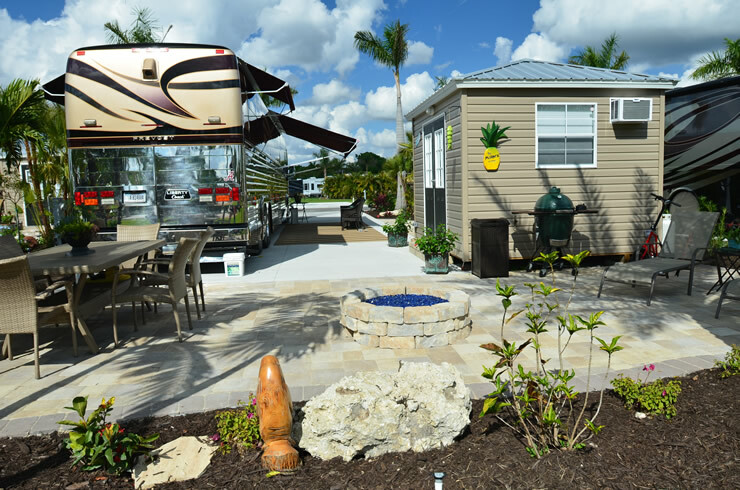 The focal point of our area is Lee County-Fort Myers, in which Cypress Trail RV Resort is located.